FPSB India has proposed to initiate a survey on �Trends in Financial Planning in India�. 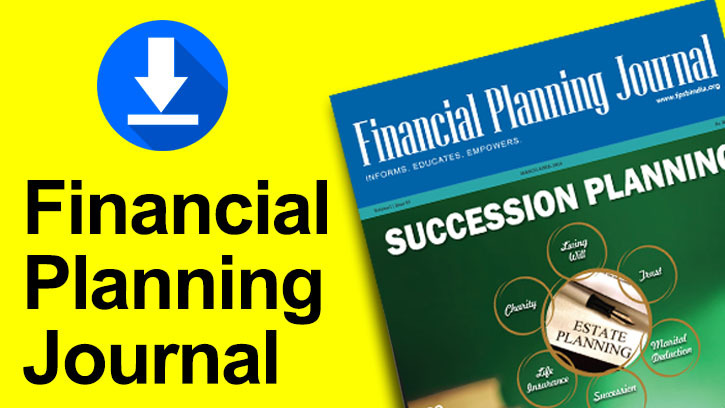 This survey is intended for professionals who are actively participating in the Financial Planning practice and students who have joined CFP Certification Program. The survey has been administered overseas since 1990 and is routinely cited as a pre-eminent industry source for Financial Planners� earnings and practice information. We in India are commencing this survey this year and will be conducting the same regularly to capture the changing face of Financial Planning in the country. FPSB India has given the mandate to Touchbase Capital (P) Ltd. to conduct and compile the same on independent basis. Your opinions are very important, and the results of the survey will benefit the industry and the growing numbers of CFP certificants/AFP/students who have enrolled for the program. The information is being gathered for research purposes only and your responses will remain confidential. We request your participation in the said survey. Kindly click the following link http://www.surveymonkey.com/s/5KTTWNV to take the Survey. P.S. : If you have already taken the survey, please DO NOT take it again. However, you can take the survey again if you could / have not completed the same in the earlier attempt. Financial Planning Standards Board India is a Public–Private Enterprise and a Professional Standards Setting body for Financial Planners in India. FPSB India proactively guides the development and promotion of standards for Financial Planning professionals to benefit and protect the public in the country. FPSB India closely works with all the stakeholders’ viz. the Government, the Regulators, the Industries/Associations, the Corporate, the Media and the General Public to achieve its objectives.